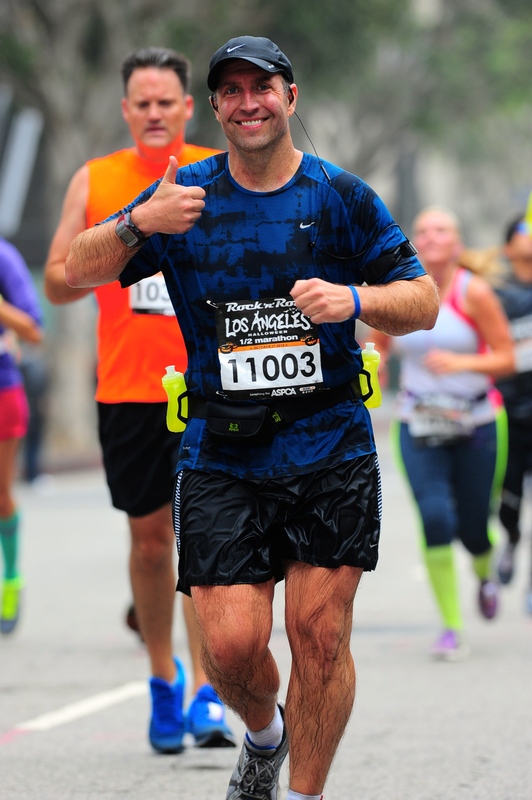 Scott is a reformed “couch potato” who discovered distance running in the fall of 2008 and hasn’t stopped since. When he’s not pounding the pavement or boring his non-running friends to tears with stories about pacing, fueling or missing toenails, he’s an Atlanta based producer/writer. A graduate of the University of Wisconsin (Go Badgers!) and Florida State University’s Graduate Film School (Go ‘Noles! ), Scott penned the popular SHARK ATTACK trilogy of B-horror films… please go buy or rent ‘em; he can use the residuals. In addition to creating DVD/Blu-ray special features and “behind the scenes” content, he co-produced/co-directed the feature-length documentary NECESSARY EVIL: SUPER-VILLAINS OF DC COMICS for Warner Bros and DC Entertainment. And in his spare time he likes to run… but you knew that.